Chord Company Active Silver Plus HDMI review | What Hi-Fi? We love the old Active cable, so we were excited to see a new one arrive in our testing rooms. Visually, the Active Silver Plus looks pretty much identical – chunky and durable – but inside there's been some tweaking. 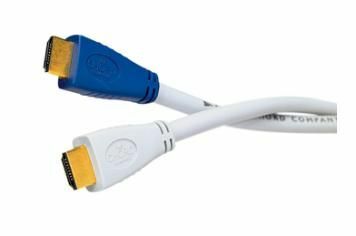 Chord has replaced the copper conductors with silver-plated ones, and it now supports Full HDMI 1.4, High-Speed and Ethernet specifications. And we think it's better than the original. Feed the Chord The Return of The King and it delivers rich, strong (yet natural) colour, and shadow areas are unspoilt for the most part. There's subtle motion on tap, with fast action scenes handled exceptionally well. And the sound? This HDMI served up a tight, punchy sound through our reference kit, with the well-integrated treble and mid-range underpinned by thudding bass that not only had incredible grip and was able to dig deep when required. All for £95, too.